This architectural gem of a building is located in the South Axis of Amsterdam one of the most prominent business districts. 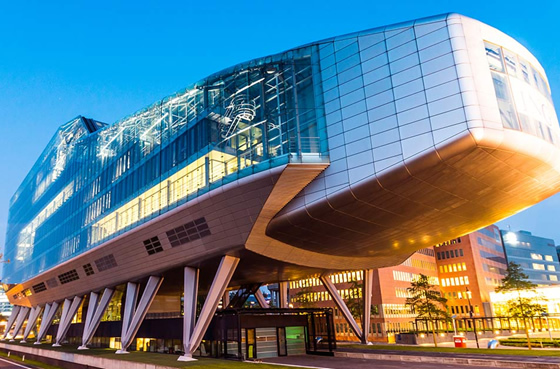 Famous for its iconic streamlined shape and the extensive use of glass ensuring that all the offices really benefit from excellent natural light and enjoy spectacular views over the city of Amsterdam. There is also an impressive foyer, an auditorium, a restaurant and six beautiful gardens within the building! The Operator offers modern and fully equipped offices and meeting rooms at this very exclusive location. Providing occupiers with every conceivable comfort combined with its modern design, and state of the art facilities it is truly an amazing and inspiring work place. The centre is easily accessible and conveniently located next to the A10 highway. The Metro station ‘Amstelveenseweg’ is around the corner and the ‘Zuid’ train station is only a few minutes away. An underground garage also gives you access to the grand entrance hall of the building. 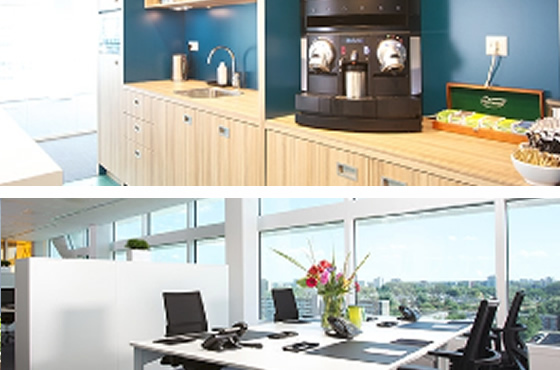 Looking for a serviced office in Amsterdam?